Warren Kinsella, originally uploaded by johnwmacdonald. 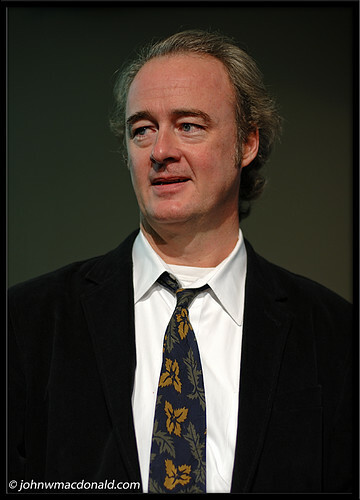 Warren Kinsella at the Library and Archives Canada in Ottawa 21 November 2007. From the OIWF online blurb: "Warren Kinsella's new book, The War Room, profiles and analyzes some of the best political warriors and spinners around. He employs personal anecdotes, political wisdom culled from his extensive experience on Liberal Party federal and provincial election campaigns, historical examples from other Canadian and American campaigns, and generous amounts of humour to deliver insight about what it takes to survive challenges not just in politics but in any kind of business or non-governmental agency, whether it sells music, movies, cars, or computers, or raises money to preserve the environment, combat cancer, or save animals."